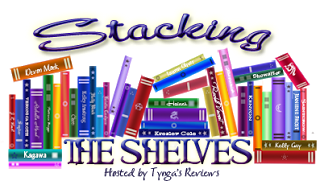 I'm so excited to post my Stacking the Shelves this week since I got a lot of awesome books from The Book Depository. Yey! I read books randomly so some of these may or may not have been reviewed yet. Simone is just AWESOME. She writes the most AWESOME books ever. Thank you Suzanne Johnson for this one. This is part of the $100 book spree from her River Road Giveaway last December. I also forgot to post a couple of ebooks that I got two weeks ago. I already read one of them. That's about it. What did you guys get? Great haul!! I've got Scarlet this week, too, but I should read Cinder first. If You Stay looks AWESOME. I've never heard of Inside before, but I love the cover. Enjoy your books and have a great week! I'm a new follower. I enjoyed Scarlet (can't wait for the next book!) and I really want to try the Soul Screamers series. Same here. I can't wait for the the next book. I'm reading it right now. And yes, I agree with you. Simone Elkeles is awesome! Great picks, they all look great! Very nice! I LOVED If You Stay! And I can't wait to start the Lunar Chronicles!